From the famous resorts along the French Riviera to the quaint medieval villages just inland the attractions of the Cote d'Azur never cease to captivate visitors. The beaches along this coastline are some of the most famous in the world and Cannes and St Tropez in particular draw thousands of tourists every summer to bask on their golden shores. But there is lots to see and do in Cote d'Azur apart from swim, suntan, shop and celebrity-watch at the fashionable resorts. 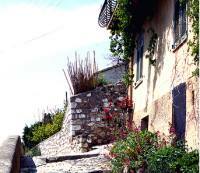 The Cote d'Azur boasts some very special medieval villages. Biot, apart from being a pretty and well-preserved ancient town, is well known for its traditional crafts and is a lovely place to go shopping for souvenirs. Eze is perched dramatically on a steep hill and the views from this charming place are astounding, particularly from the vantage of its botanical gardens. 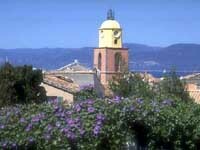 Grasse is famous for its perfume and visitors can learn about the production process and even create their own scents in this floral kingdom. Along the azure coast Antibes, St Raphael, Frejus, Cassis and, of course, Nice are all exciting places to visit. A boat trip to the islands of St Honorat and St Marguerite is a popular excursion from Cannes and an extremely pleasant way to spend a day. The islands are perfect for lazy picnics and walks and there is an 11th-century monastery, an old fortress and a fascinating Museum of the Sea to explore. Travellers in the Cote d'Azur will find that the coastline can get crowded and the roads congested during the summer months but with a little patience and good planning this area is magical.